pursued. Additional financial details were not disclosed. the development of novel therapies. the brain, where it plays a central role in cholesterol homeostasis. change in the plasma concentration of 24HC. are believed to be therapeutically relevant. countries. 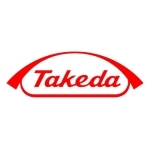 For more information, visit http://www.takeda.com/news. syndrome and Fragile X syndrome. conclude that additional updates or corrections will be made. assumptions, uncertainties and factors that are beyond Ovid’s control. i Russell DW, Halford RW, Ramirez DMO, Shah R, Kotti T.
Brain. Annu Rev Biochem. 2009; 78: 1017–1040. ii Mehta A, Prabhakar M, Kumar P, Deshmukh R, Sharma PL. disorders. Eur J Pharmacol 2013;698(1-3):6-18. N-methyl-D-aspartate receptors. J Neurosci 2013;33(44):17290-300.